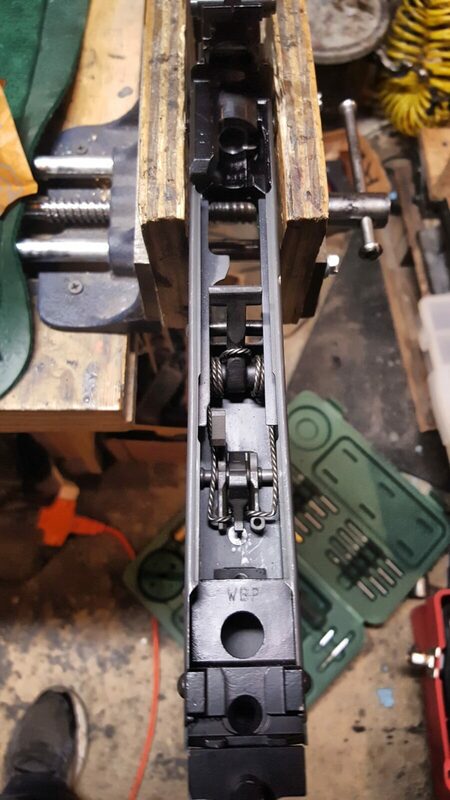 With the 7.62×39 Polish Beryl inspired rifle otherwise complete, it was time to install the fire control group, optics rail and the furniture. This post will focus on these elements. For some time now I have heard how good the ALG triggers are. 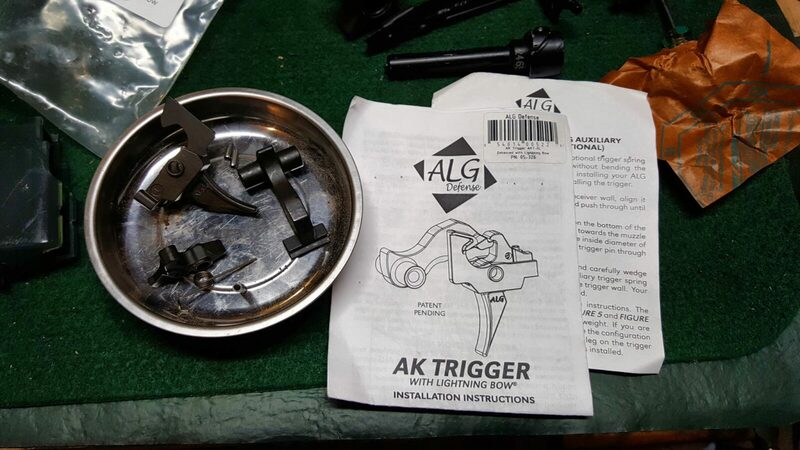 I have grown very accustomed to Tapco G2 triggers over the years and know how to tune them but reports were coming in about their not being in accordance with Russian design specifications so this prompted me to try the ALG AK Trigger with Lightning Bow (AKT-EL). The trigger comes with a spring booster if you want a heavier pull but I wanted the lighter pull. Wow – this trigger blew me away. 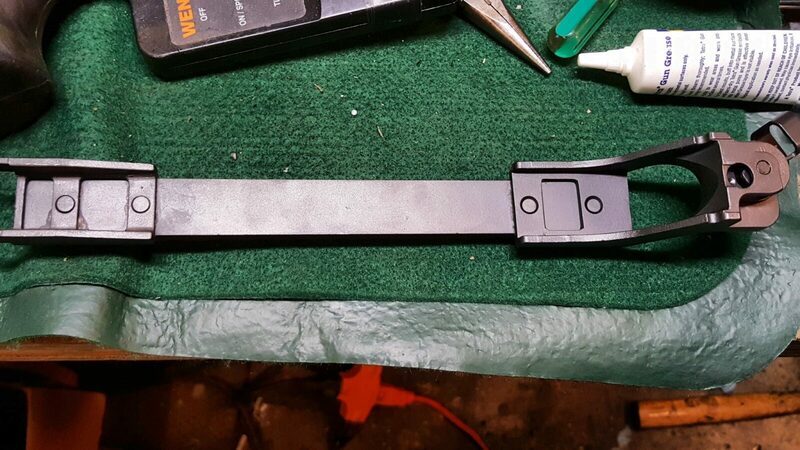 It installed the same as any other AK trigger. 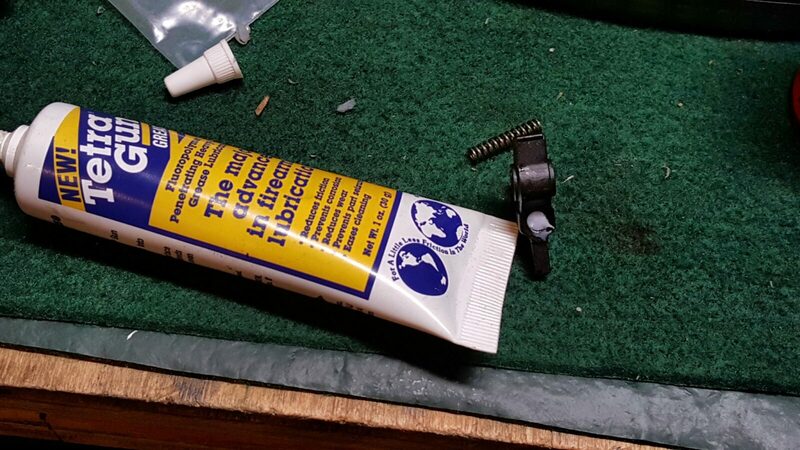 I would recommend something to them and to you though – make a quick slave pin or capture pin that you can use to assemble the trigger assembly outside of the rifle, lower it in and then press it out of the way when you install the actual pin. 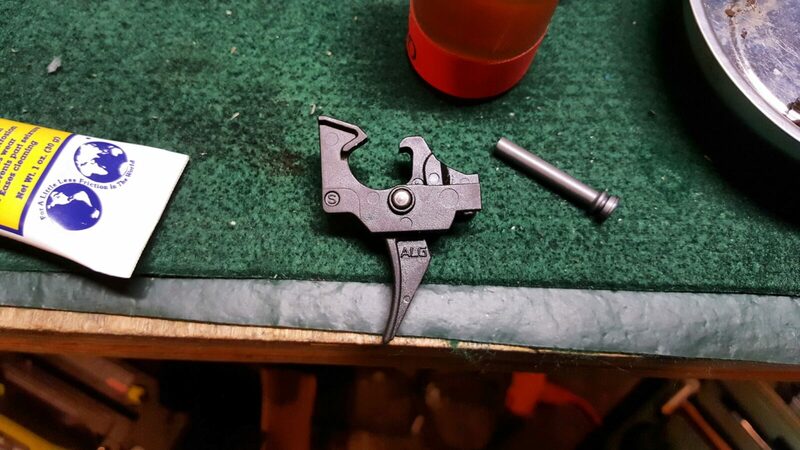 In my opinion, ALG should supply one with their trigger but you can make one from an old trigger pin, an old drill shank, whatever. I didn’t even polish the FCG and just inserted it as-is. 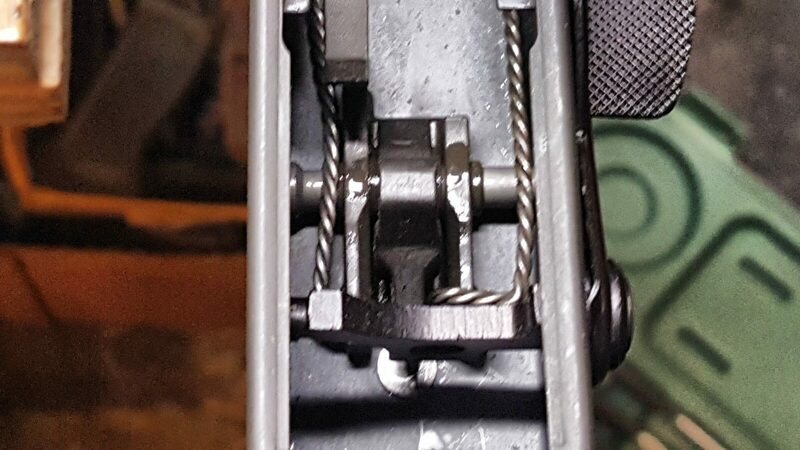 Seriously, I will never go back to Tapco. These ALGs are wickedly good. 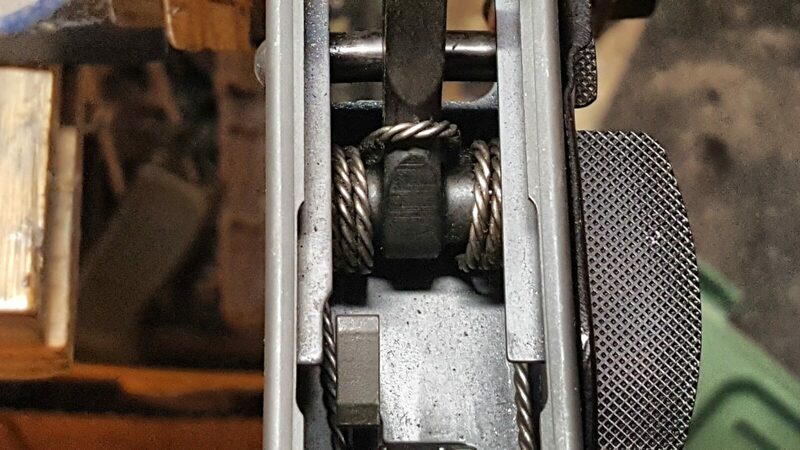 I do not like the original shepherd hook wire for securing the FCG pins and instead now use our American made properly dimensioned AK fire control retainer plate. Click here for the page in our store. 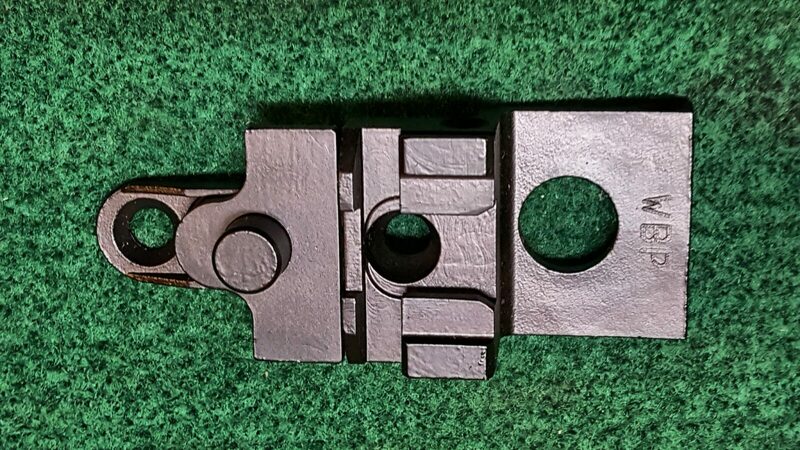 In the next photos you can see the giant over-sized selector lever. 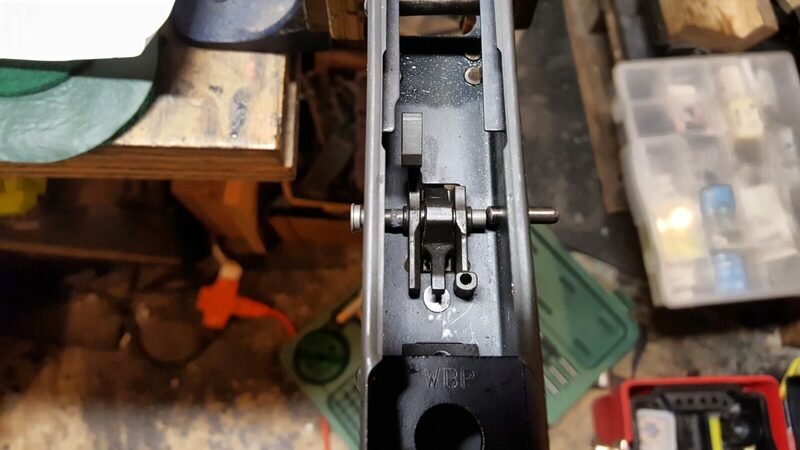 It drives me nuts and will either get ground down or replace by a standard AKM lever. 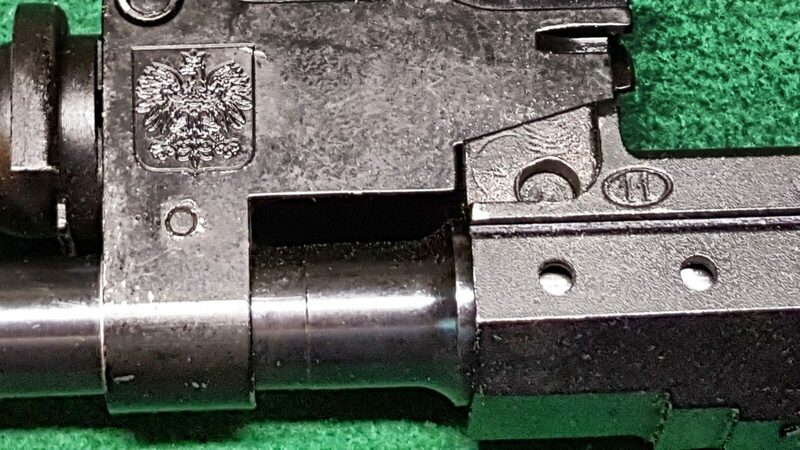 It’s totally up to you but I will not buy the extended mag release and selector lever again – they just are not my preference. 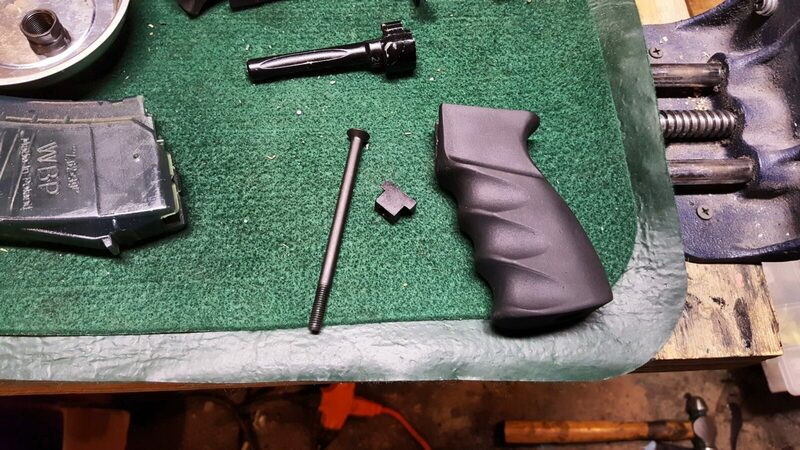 At this point I installed one of our new Polish Beryl grips as well. They Beryl uses the typical grip nut that uses a 6mm diameter 1.0mm pitch grip screw. 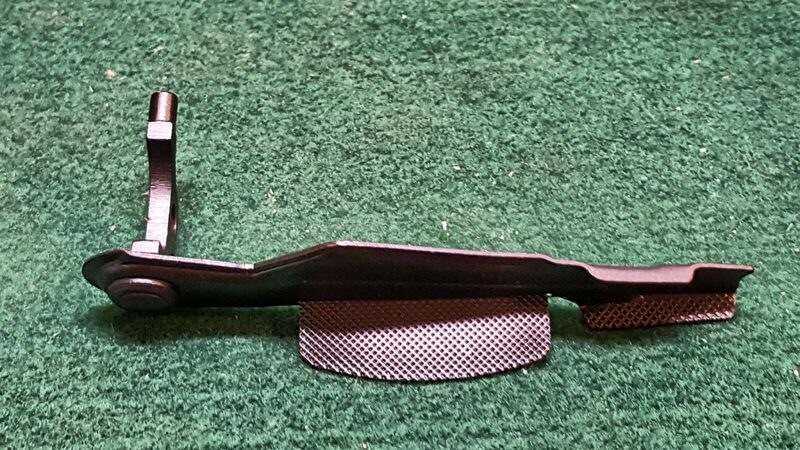 Click here if you want to order one of our grips. 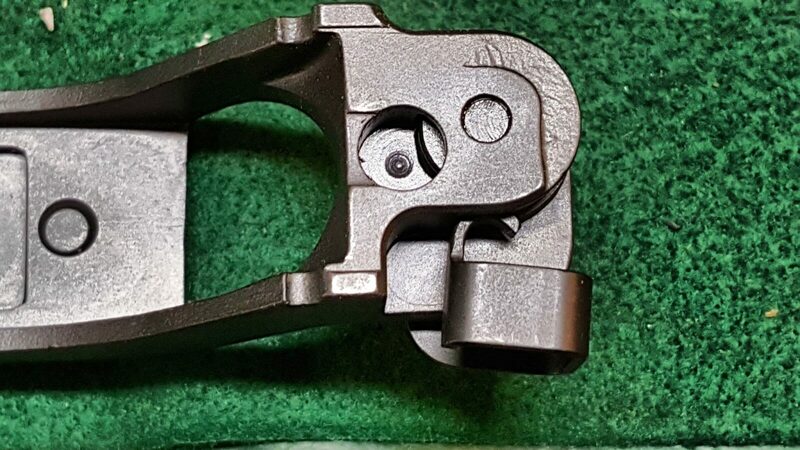 The Beryl was the first AK-platform that I know of that had an integral optics rail that ran from the rear sight block (RSB) to the rear trunnion. 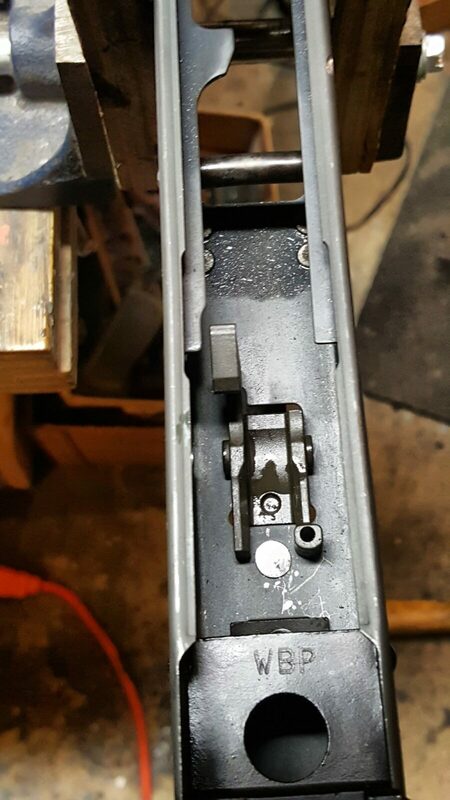 It did not need the traditional AKM side mount optics rail. 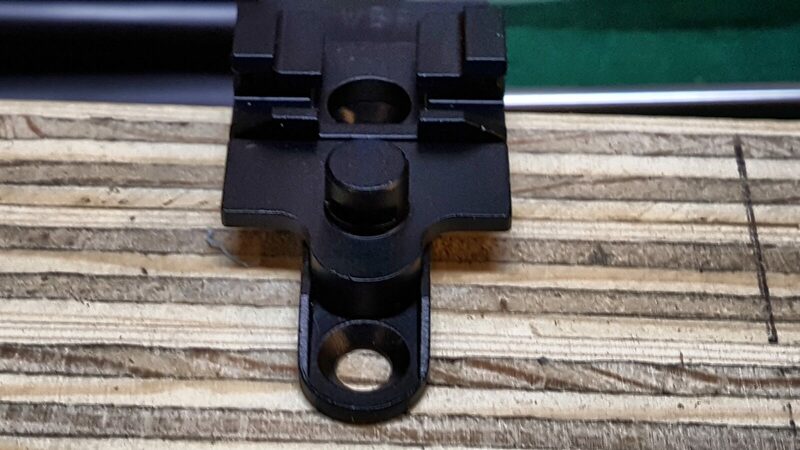 Now the WBP kit I bought had a Weaver rail and they have since moved to the Picatinny standard – just FYI. 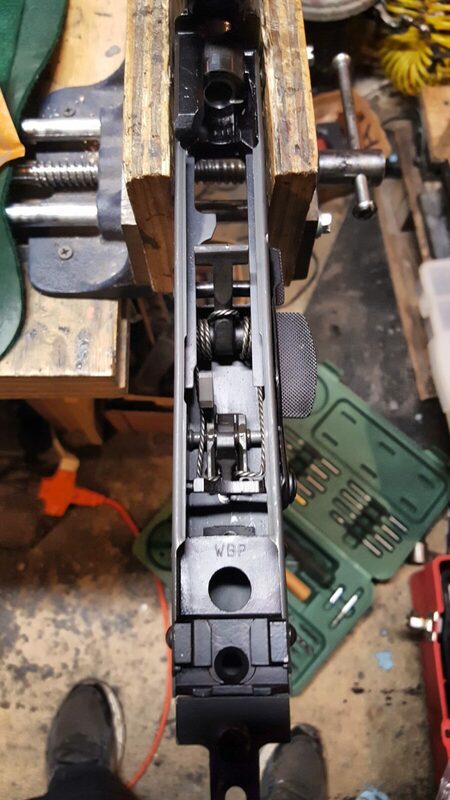 I believe my rail is known as the POPC III. I really did not know what to expect when I ordered the kit and was blown away by how the Poles did this. 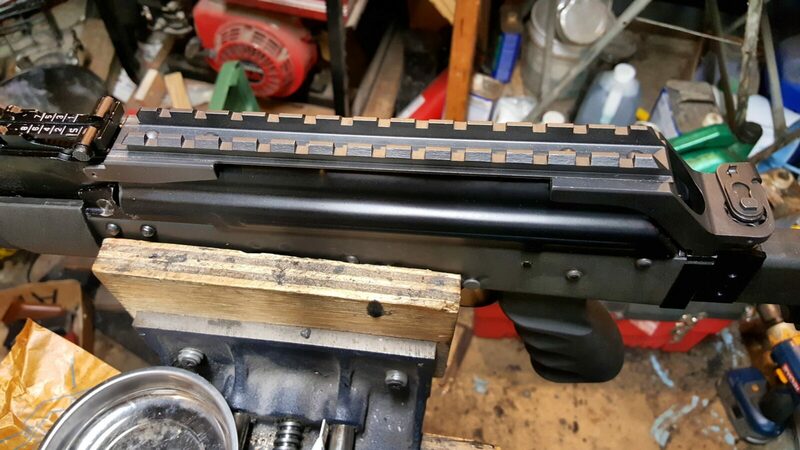 The rail is solid steel and built like a tank. 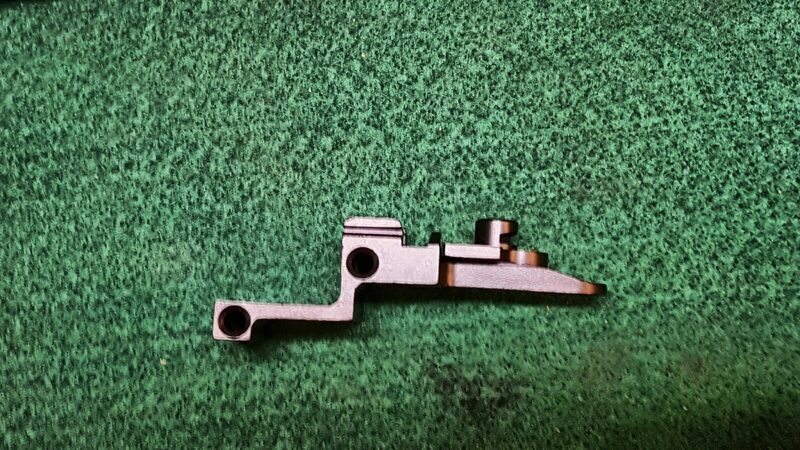 It attaches to the RSB via two small grooves that are machined into the back just below the rear sight leaf. It then locks onto a cylindrical protrusion on the rear trunnion. This did take some minor fitting. 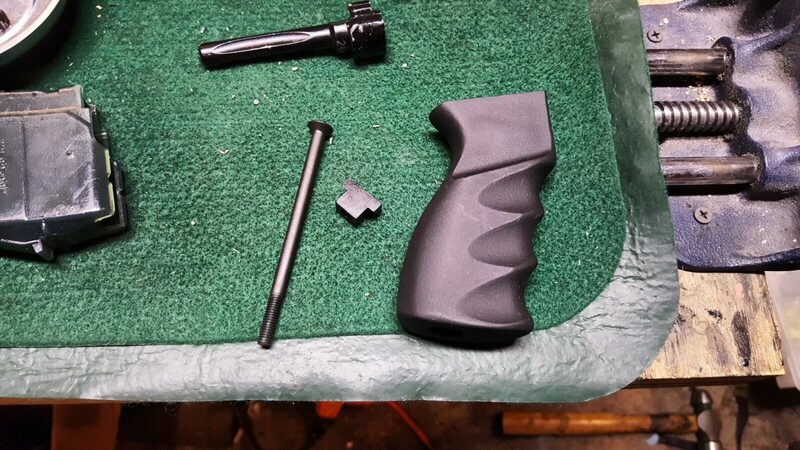 I sanded off a bit from the front edge of the rail and rounded the cylinder just a tiny bit to help the above pictured hole slide into place. I went slow and test fit over and over. 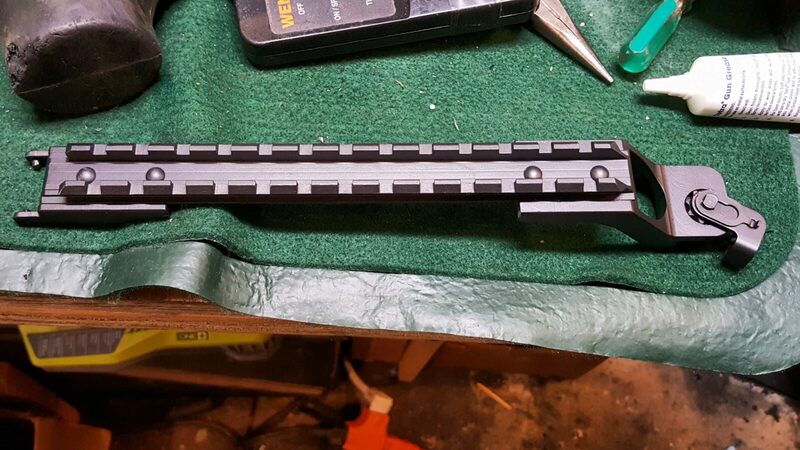 This thing locks up incredibly solid – literally zero play. All that is left now is the furniture and the test firing.